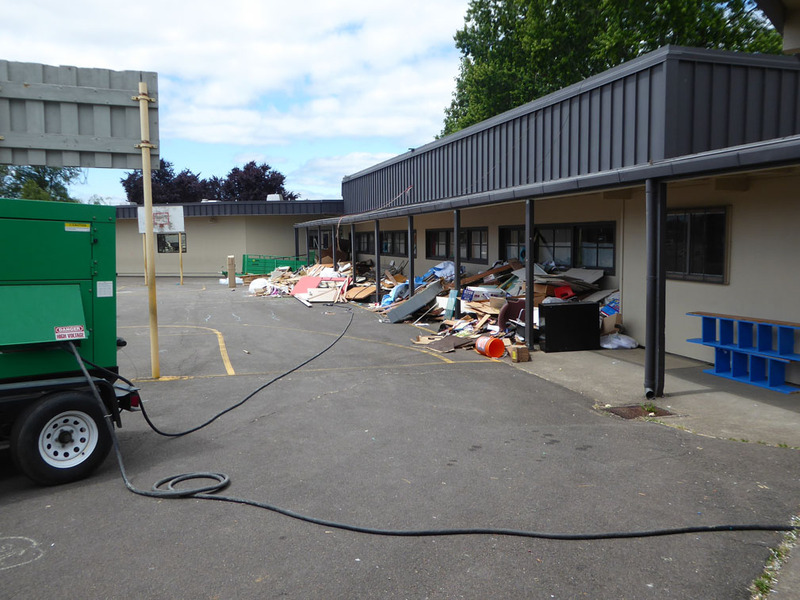 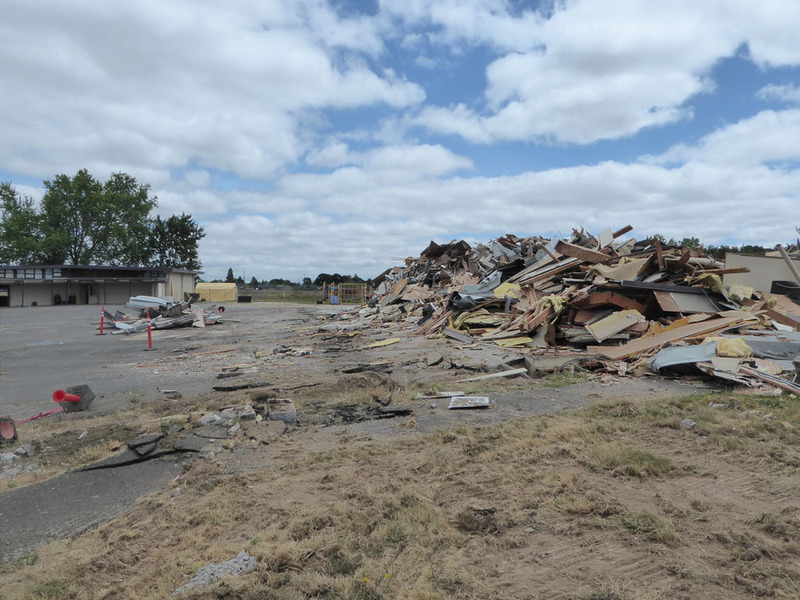 Demolition of Oak Grove Elementary School has begun. 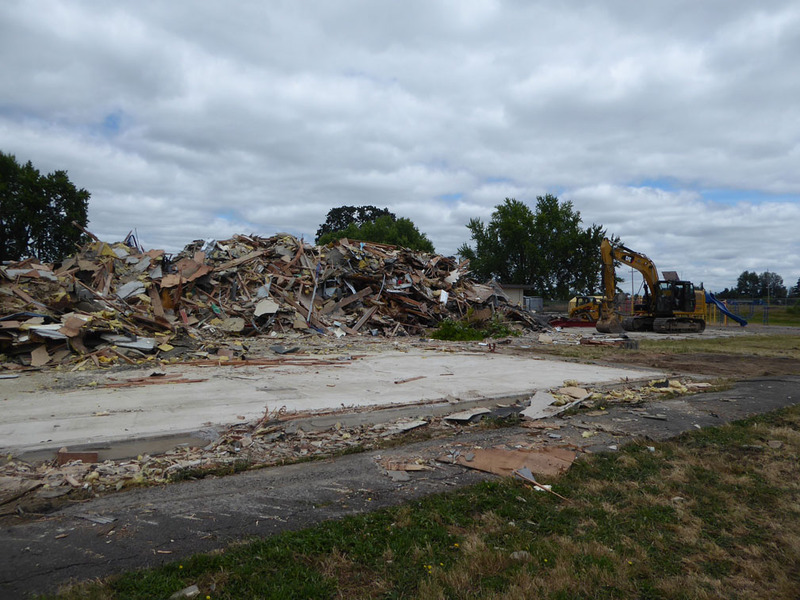 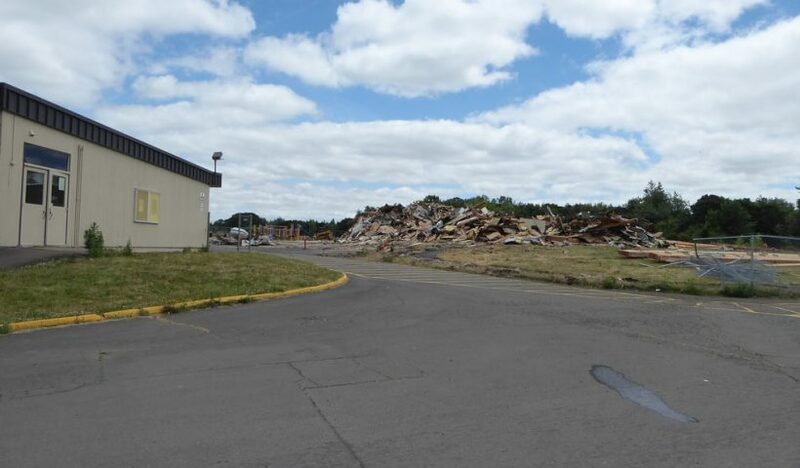 The “newer” section with the gymnasium and four classroom pod has been completely torn down and only a pile of rubble remains. 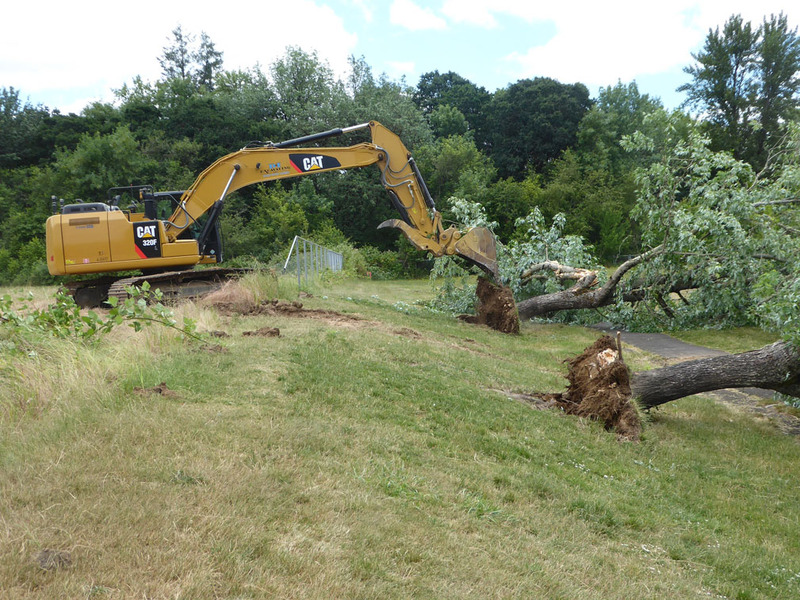 Fencing to the east of the campus is being removed and the new two-acre land purchase to the east of the school is being prepped for the new bus loop and staff parking areas. 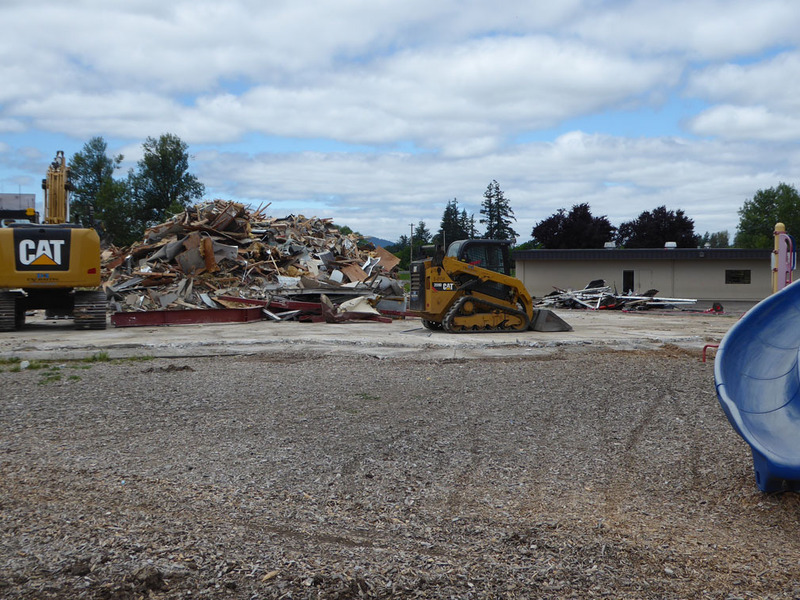 Two trees were taken down today and preparations are beginning for asbestos abatement in the older portion of the building that was built in 1948. 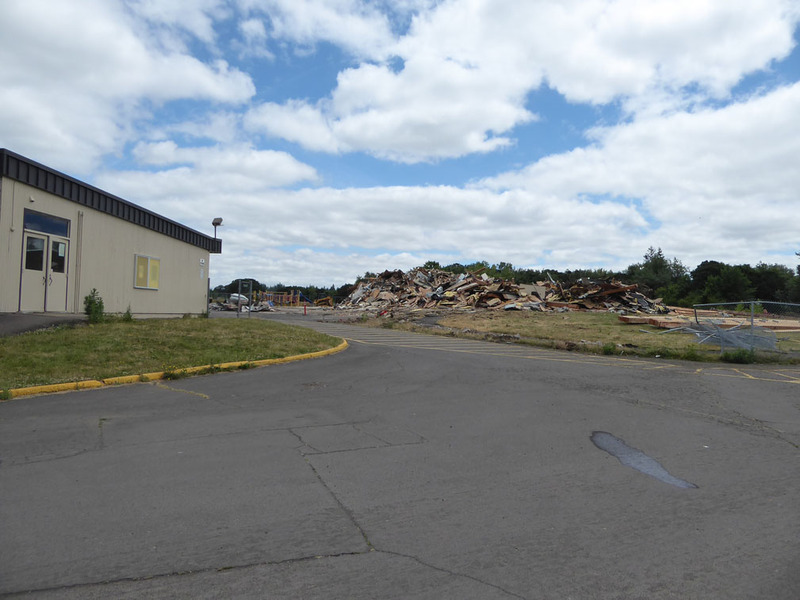 The new school is expected to open in time for school in fall 2019. 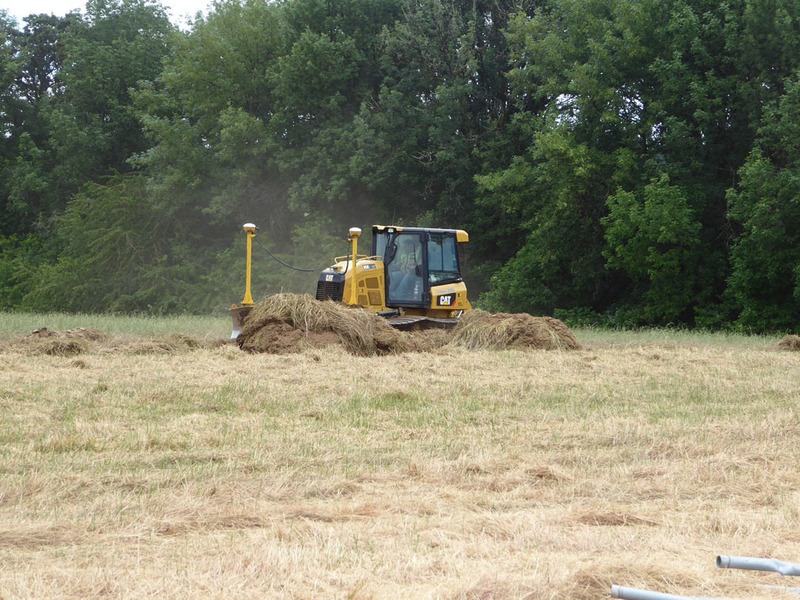 See more information about the project.